I’ve always wondered what it felt like in ‘the old days’ when you climbed saddle-sore and weary from your steed, desperate to get out of the biting cold and into somewhere warm and cheery for a few hours. 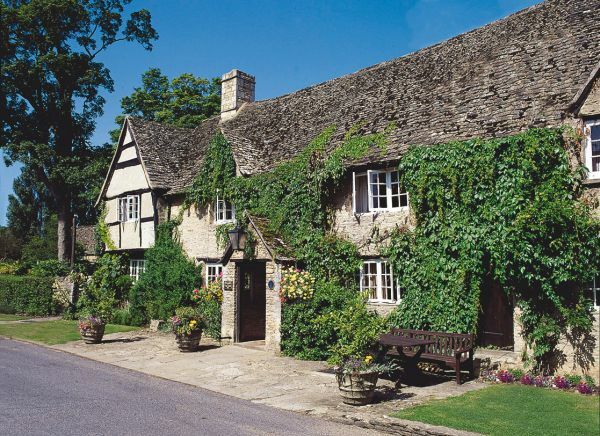 You’d have to crash open a great oak door first and then a fug of warm, fire-smoked, beery air would envelope you and you’d be free to slake your thirst, sate your hunger and enjoy some company in one of England’s fine hostelries. I don’t need to wonder anymore. It’s a Bank Holiday weekend and the first real icy snap of the year. It’s four degrees centigrade; in the daytime. And my family and I are supposed to be going camping. My heart is leaden, for I know from experience the horrors of copious late-night toilet visits, things that go bump in the night and the bone-clasping cold that comes from sleeping outdoors. And that’s without the kids. Then salvation strikes in the form of the red Batphone on my desk. While it doesn’t really flash, it does ring very loudly indeed. In a thrice I’m speaking to the manager of the camping site. “Hello. Oh hello, yes. We’re looking forward to it,” I lie. And then I listen slack-jawed to the words I never thought I’d hear. Yes! A reprieve from the gallows. And that rather long-winded scene-setter is why, dear reader, we find ourselves instead of swearing and pitching tents, ensconced both snugly and smugly in the Cotswolds. The Old Swan and Minster Mill is, as suggested by the title, two separate buildings with associated trappings. They’ve both been taken on by the de Savary family, famed worldwide for their exclusive boutique resorts in the Caribbean and beyond. 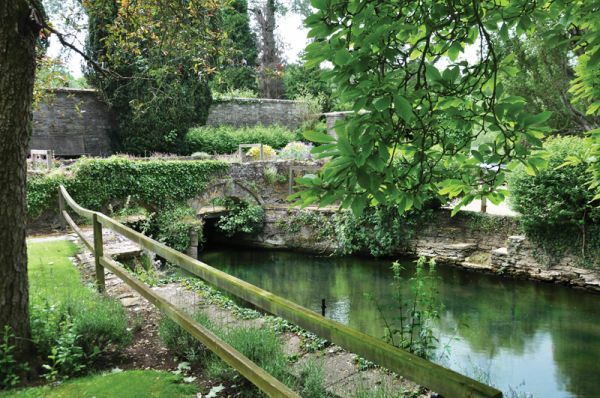 They don’t do anything by halves, the de Savarys, and this charming slice of Cotswoldian England is no exception. The properties are run by long-standing and trusted staff members and have a friendly and comfortable atmosphere. A member of the de Savary family, for example, is on reception to welcome us as we arrive. 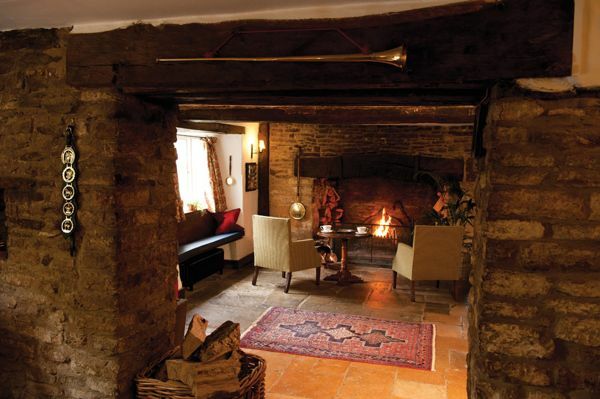 Log fires abound, which we’re grateful for; and the accommodation, for either a pleasant pint and sandwich, full blown repast, business meeting or luxurious weekend stay, is first class. I dread to think what taking on, refurbishing and maintaining ancient buildings like these costs, but I’m darned glad there are people like the de Savary’s in the world who do it. The rooms are luxurious enough – finest cotton bedsheets, sumptuous duvets and welcoming carafe of sloe gin – without being overboard. In the Old Swan Inn, our daughters Grace and Tess have their own bathroom suite, no less, and they delight in crowing that their room is bigger than mum and dad’s adjoining one. It is, too, but we don’t mind. We have a delightful quiet room with its own stone staircase to the outside and most importantly, it’s warm. The children are spoiled rotten. There’s a Games Room, complete with painting equipment and table football (not a DS to be found here), bikes to ride, ducks to feed, guinea pigs to stroke and eggs to collect from fat, happy hens. 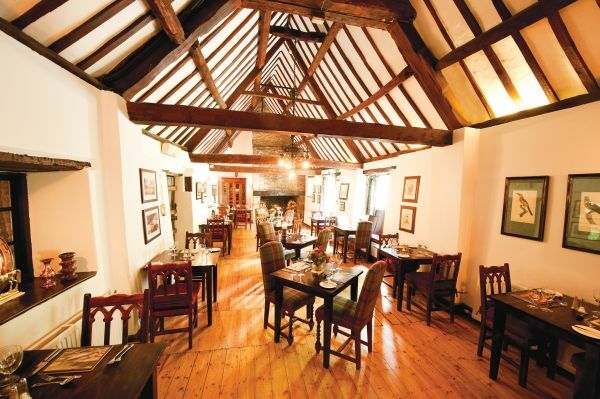 The menu is excellent, offering a wide range of good, old-fashioned dishes, from local game and fish to seasonal favourites. Breakfast especially is a treat: you name it, you can have it, from kippers to pancakes and syrup (Yes, I did have both). The River Windrush gallops past The Old Swan and fishing is available. River-fronted rooms complete with terraces and fire baskets are all part of the picture. Kingfishers pipe madly up and down the 50-odd acres of grounds and in finer weather, one can enjoy croquet, a deckchair or a game of tennis on the lawns. For now, it’s bracing walks, log fires and foaming ale I’m after, and I get it in spades. A plod across muddy fields and down Tolkienesque beech-shrouded lanes brings you to the 15th century ruins of a former country pile. Here, the kids can play and run (no climbing, Grace! ), and then it’s a simple stroll across the Minster Lovell village green to arrive, slavering, at the door of Minster Mill where a flagstoned-and-beamed welcome awaits. The bar is well stocked; the staff are friendly and the fire is lit. And to think I could have been camping. We recline with newspapers, some pork scratchings and a drink and the girls play pub games while sun pierces the windows and highlights the shifting tendrils of smoke from the fire. No one does this better than England. And no one does it better than the de Savarys. Bliss.